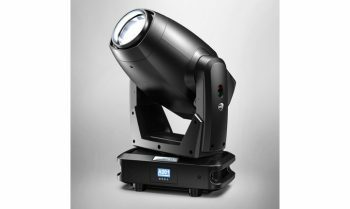 SYNERGY 5 PROFILE is the result of over thirty years of DTS experience in the production of moving heads and LED systems. 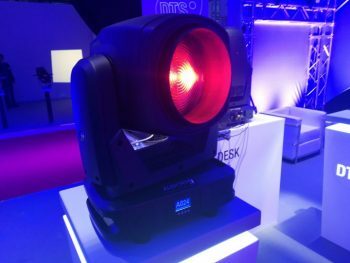 This has culminated in a projector that offers all the advantages of applying LED technology to broadcast and entertainment lighting. 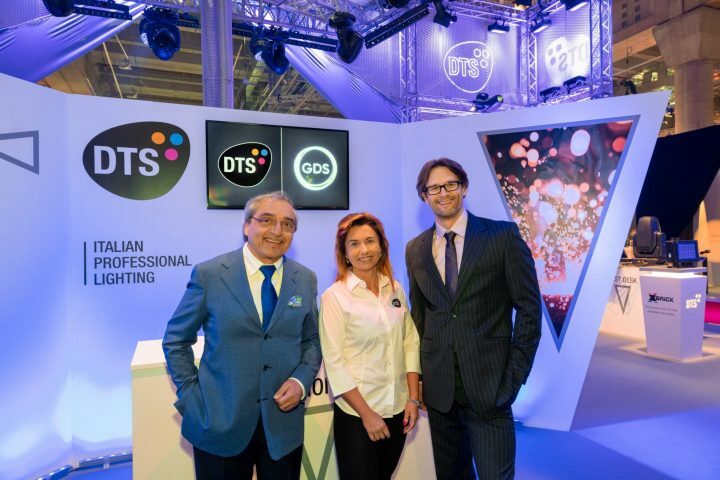 After the successes at Prolight + Sound and MIR exhibitions – in front of an audience of extremely interested LDs and DoPs – SYNERGY 5 PROFILE is currently on tour with famous singer Laura Pausini, and has been installed in various TV shows. SYNERGY 5 PROFILE’s main feature is its unmatched light quality – with a CRI higher than 90, and the R9 (red) component higher than 80, resulting in truly realistic colour reproduction – a must in the most demanding TV and theatre applications. SYNERGY offers a series of unique features that make it the reference projector in this power range. 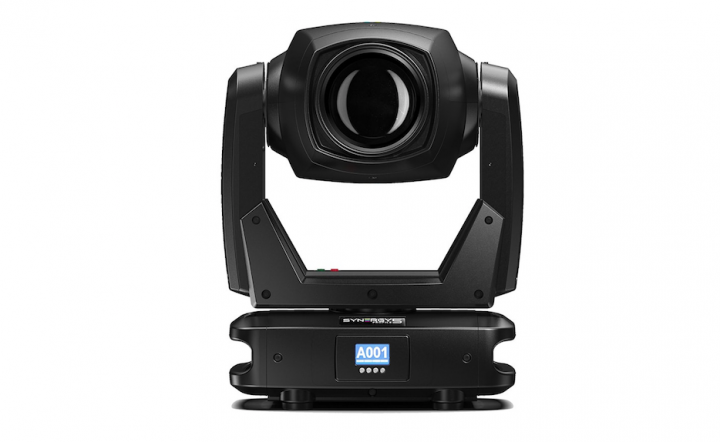 Brightest fixture, 50,000 Lux (pure white 420 W LED source; 7000 K; 16,500 Lumens output). Exceptionally silent operating mode (37 dBA @ 1 m at full power). Widest zoom: 4.6° to 43° (over 1:9 ratio). Two different CRI with the same unit (DMX selectable): a CRI >90 for realistic colours and perfectly natural skin tones, a must when the faithful reproduction of every nuance is essential. 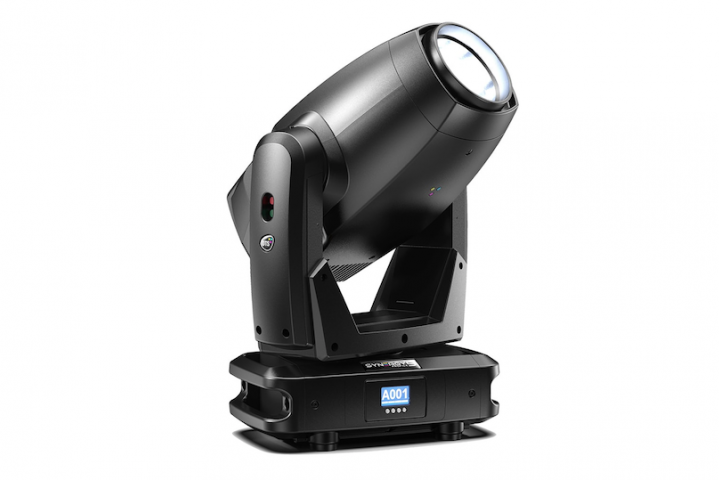 A CRI >75 for exceptional brightness in large concerts and events, when power is the key factor. ‘Dynamove’ (Patent pending), a revolutionary fx engine, able to create an endless variety of 3D-like dynamic effects; and the ground-breaking ‘Virtual Animation Wheel’, which replaces the traditional mechanical animation wheel, and lets you create a wide range of outstanding animated backgrounds. Last generation framing system featuring 4 blades operating on 4 discrete plans; each blade can enter / exit the visual ­field with a 0 – 100% ‘curtain’ effect. Blades can rotate 60° (+/- 30°). Also the whole framing system can rotate 90° (+/- 45°). Framing system indexing guarantees a precise playback of any cue. Advanced colour mixing: the perfect emulations of the most common gel filters are already pre-selected. Just a command to get the right colour.